Even if you are an ardent sports fan, you've likely never heard the name. Randy Casey was a pretty good two-way lineman at George Fox University in the late 1960s. A 6-6, 260-pound behemoth from Portland who earned all-district honors as a college junior in 1967. After graduating from the Newberg school he played three preseason games with the Dallas Cowboys before getting injured. His stint with the Cowboys was short, but important to him as evidenced by a framed display of mementos, including a local newspaper clipping about the signing and Randy's NFL contract, that his wife, Sue keeps. His football days over, Casey settled into a long career driving a tanker for Mobil Oil while living in Milwaukie. He died in 2014 from the effects of a brain hemorrhage after a fall at home. He was 66. Sue suspects her husband's brain was damaged before the fall. Randy told her he thought he suffered eight to 10 concussions during his time playing football, which started during his senior year at Grant High School in Portland. Studies of brain trauma and chronic traumatic encephalopathy (CTE) in sports, indicate her hunch could be true. Much attention has been given to the autopsies and post-mortem tests that confirmed NFL players such as Junior Seau, John Mackey, Mike Webster, Dave Duerson, Bubba Smith and Ken Stabler had brains that showed clear signs of CTE at the end of their lives. But the same is true for some players who didn't advance beyond the college level and, to a lesser extent, those who didn't play past high school. Although their stories typically don't make headlines, they — and their families — are left wondering about how all those collisions on the gridiron impacted the rest of their lives. It's the violent encounters in the open field that tend to make football highlight reels. But research shows that the players who man the line positions, as Randy Casey did, have cranial contact on nearly every play. Casey, whose size dwarfed most of those around him in his era, welcomed that part of the game. "He said he was a very mean guy on the football field," Sue Casey, who married Randy after his college days and never saw him on the gridiron, said. "He wanted to kill people. Nobody wanted to play against him in practice." She added that he told her that when he got "dinged" from blows at George Fox, coaches or medical staffers treated him with smelling salts. "Then I'd just go back in and play," she recalled him saying. Sue said Randy also developed epilepsy at about age 21, but had only one seizure during their marriage. While there is a clear link between brain injuries and seizures, Canadian researchers earlier this year found that people with concussions were not more likely to develop epilepsy. Regardless of the cause, Sue said that over the course of their marriage, her husband's behavior changed. He exhibited cognitive issues that worried his wife. In the latter years, she said, "Randy wasn't the same person I married. It was gradual. He was depressed. At one time he told me, "I know something is wrong, but I don't know what it is.' "
Randy's mother and her three sisters all suffered from Alzheimer's disease; he thought he was getting it, too. "The symptoms were similar," Sue said, "but I started doing research and I saw the articles about CTE and I thought, 'That's it.' "
Sue said at about age 55, Randy had a CAT scan done because of the epilepsy. "It showed his brain was starting to atrophy," she said. Through most of his adult life, Randy had been a "happy-go-lucky guy," Sue said. "Toward the end, he was depressed. He got quieter and quieter. I never knew who I was coming home to — Jekyll or Hyde. His mood could change at the turn of a dime. He got to be very suspicious — I would say paranoid. I felt like I was the enemy. He would get really upset if you didn't agree with him. "I'd bring it up about how he had changed or something I noticed, and he humiliated me in front of our kids to the point where you never said anything. You were too afraid of what would happen." At one point, she said, Randy became suicidal. Two or three years before his death, he revealed his thoughts to Sue. The Caseys had a swimming pool at their home. "I was going to go the edge (of the pool) and shoot myself there," Randy told his wife. "That way there wouldn't be a mess." Randy weighed the potential impact on their three children — sons Jeff and George and daughter Laurie — and chose not to take his life. "Randy was a determined and strong-minded man," Sue said. "If he made up his mind not to do something, he didn't do it. He didn't really talk about suicide much after that. But it had been building up to it." Sue compares her husband's mental digression with the swing of a pendulum that was losing steam. "It would go out and come back, but it wouldn't go all the way to where the change had started," she said. "A little more would be gone each time it came back." The year before Randy died, he had heart surgery and was put on a blood thinner. The following year, he tripped and fell in the Caseys' living room and hit his head, causing a brain bleed that resulted in his death. Pathologists examined Randy's brain but said it was badly damaged from all the blood. "There was a blood clot the size of a fist in the middle of the brain," Sue said. "I authorized the hospital to send the pathology report and the slides to Boston University. (Experts there) said his brain was too far gone to give a definite diagnosis. From all of the symptoms and the way he acted, they said they thought he had CTE, but they couldn't say conclusively what it was because of not being able to test the tissue." It could be that Randy's brain was under the effects of dementia, or Alzheimer's, toward the end of his life. Perhaps epilepsy had something to do with his cognitive issues. Sue's suspicions, though, are that her husband did have CTE, and it affected his behavior. In a sad way, she is heartened by that belief. "I can go back and look at the progression of the disease and know it had nothing to do with me. It was the disease, not something I or anybody else has done. It has given me a lot of comfort to realize it wasn't Randy there in the latter years." There is increasing concern about former athletes dealing with the effects of brain trauma. 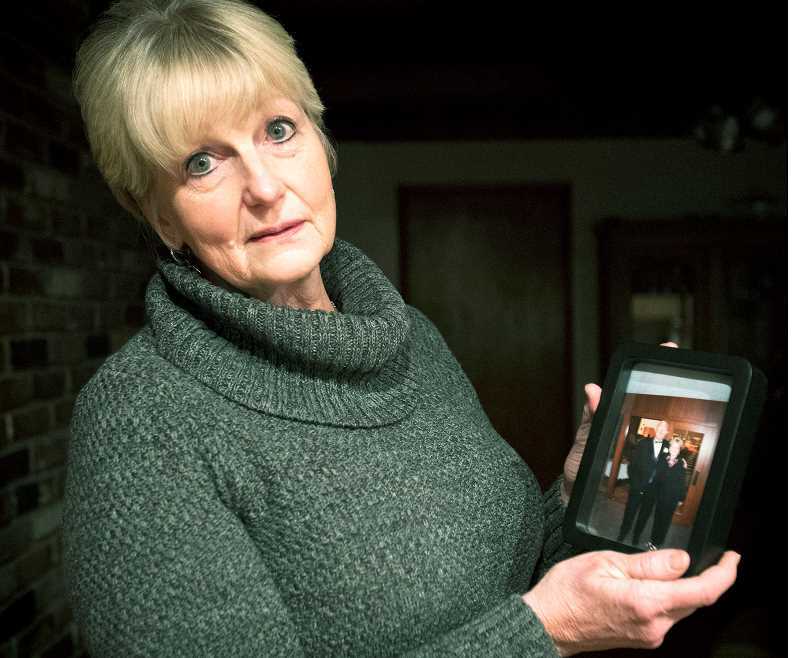 The Caseys' story shows there are repercussions for family members, as well. "Randy was the love of my life," Sue said. "I loved him with my whole being. But at the end, I didn't like him. It's hard to explain or understand, unless you lived it."